Hey everyone! Today we’re back to our five day round up series on beauty advent calendars. If you missed the first set of these, I’ll have them linked in their respective posts. In this one, we’ll be looking at Technic. To find out what was in days 1-5 and my opinions on the general packaging of the calendar, check out my first post here. This is a pretty small sample size when you see the amount of product that’s actually provided, but there’s enough to give you an idea as to what the product is like. 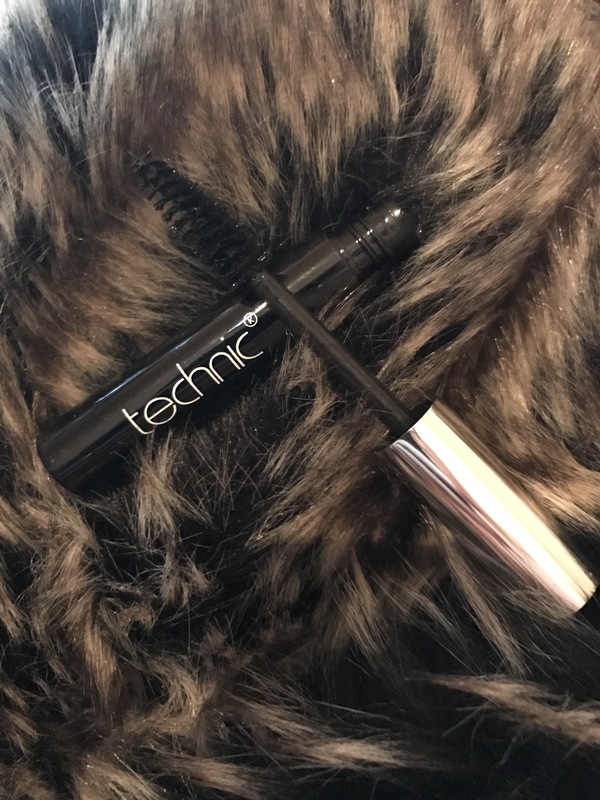 In terms of the mascara wand, it’s quite big and was good at separating my lashes, but it didn’t give any lift and needed quite a few coats to provide any coverage. The reason I gave it 3/5 is because there was actually small flecks of glitter on the wand which you can see on the picture above. I don’t know if it’s supposed to be like that or if I got a faulty one, but I don’t like glitter on mascara at all. This is a pretty decent sample size of lipstick, it would last a good time. 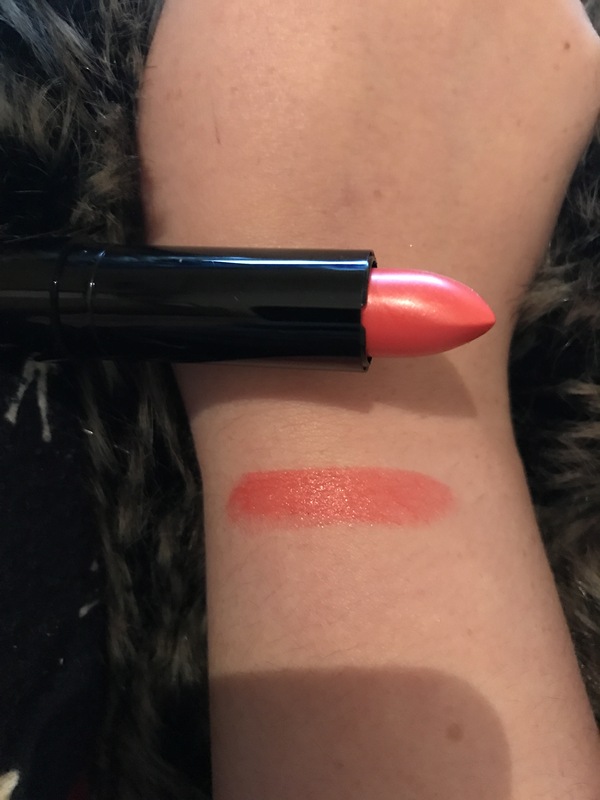 The colour is almost a frost finish and it’s a gorgeous kind of pink/red toned lipstick. When it’s on the lips, it looks really natural and it’s really creamy and easy to apply. It isn’t drying on the lips at all, but you can ‘feel’ the product on the lips, it’s slightly heavy. The downside to this is that is doesn’t survive through anything. Drinking, eating or even rubbing your lips together and this lipstick will fade into nothing. This is a pretty decent sample size of product. It is a clear polish with gold flecks of glitter. 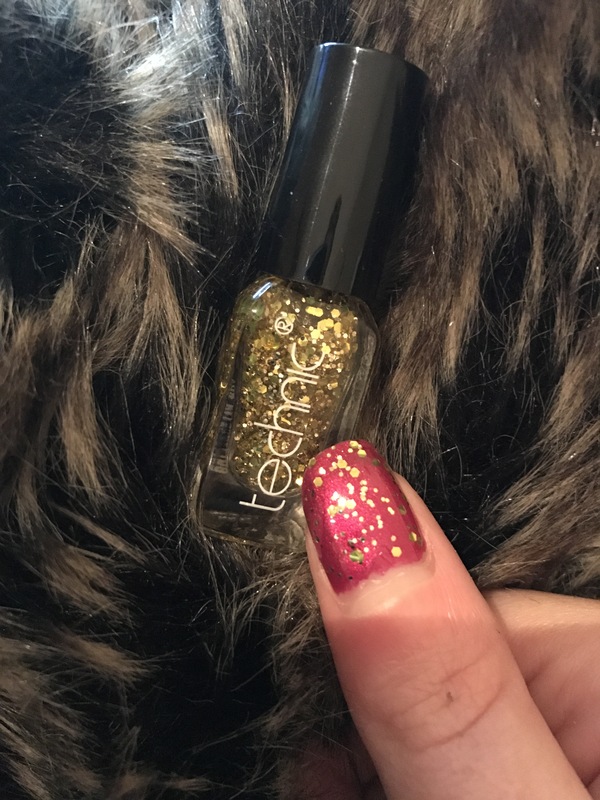 I applied it over my Autograph nail polish which I received in my M&S Advent Calendar and the two of them together are gorgeous and perfect for Christmas. It does take a little longer to dry and has a strong chemical nail polish smell which lingers for a while after drying. I didn’t really like this palette. In terms of sample size, it’s pretty nice and it’s a really nice size for travelling with. 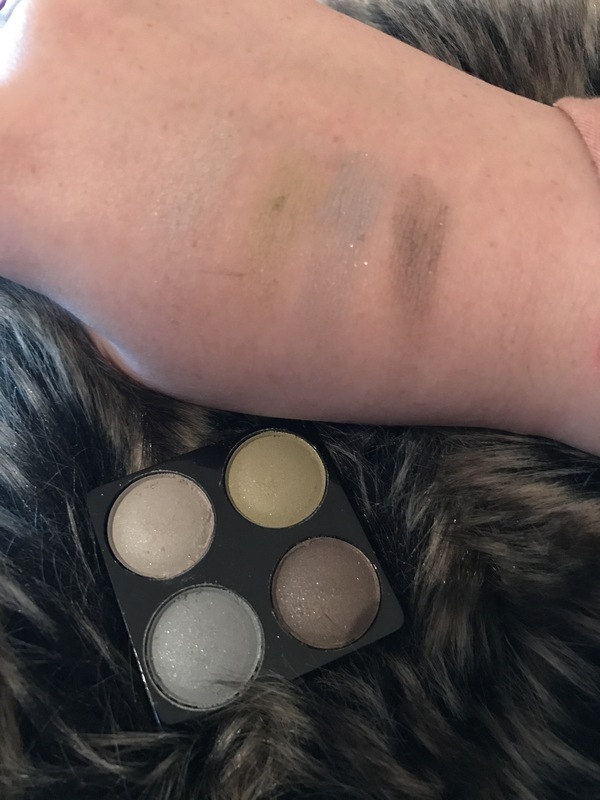 However, as you can see in the picture, the eyeshadows aren’t pigmented at all, and I really tried to pick up as much as I could. They’re really dusty which you can also see in the picture, the lightest shade doesn’t have any pigmentatin at all and the brown is incredibly patchy. This is a really good sample size of eyeliner and would last a long time. The black is quite dark and pigmented, however it’s not too creamy so it is a little harsh to apply to the waterline. 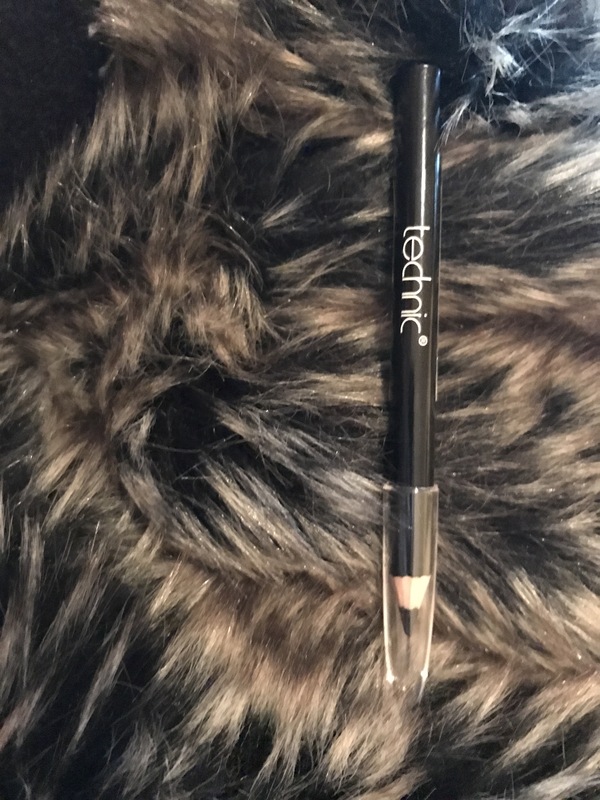 I didn’t try it on the upper lid as I don’t use pencil eyeliners there, but once applied it did look nice and I would definitely use this product again. And that marks days 6-10 of the Technic Advent Calendar Round Up. This one was really hit and miss with some things I loved and some I really didn’t like. We’re nearly half way through, which means Christmas is even closer! I’m excited to see what the other days have in store.